ATTACK I TELL YOU! MAN YOUR BATTLE STATIONS IMMEDIATELY! Give me a break Mr. Crafton with the hyperbole. There is no war on language anywhere unless you count the extinction of countless Native American languages….but let me guess you probably don’t right? Figures as much. It stands to reason these measures are being introduced now, because had they been introduced in the previous 8 years one can imagine the irony and late-night fodder given we had a president who so bastardized the King’s English (http://www.youtube.com/watch?v=8Ux3DKxxFoM). I wonder if Crafton cringed every time he listened to Bush botch a simple word like nuclear or invisible or……..! Now wouldn’t a nation of immigrants need a bunch of languages or at least access to them in order to accommodate it’s workforce? Or maybe just as a sign of respect and gratitude? Again I hope they aren’t targeting the Longhorn state because without this service W. doesn’t stand a chance and even with it his odds aren’t that great. Well anyway you lost and that is a good thing, because further isolation of our foreign and domestic policy from those who built and continue to build this country does no one any favors I guarantee. OR for that matter those that speak Southern Appalachian English in the eastern part of your beloved state (http://www.cas.sc.edu/engl/dictionary/dictionary.html). Are they any less American or patriotic? Careful what box you open Sir for the next one might be Pandora’s. If people like Mr. Grafton and Inhofe spent half the time and tax-payer money ($350,000 allotted to Mr. Grafton’s stunt) on things that matter maybe we would not be in the climate, economic, and health care pickle we find ourselves in today. PS Mr. Crafton what were your grades in high school english? I know mine weren’t anything to write home about, but I am pretty sure that doesn’t make me any more or less American than you or the Bhutanese refugees that just moved in down the street from me here in Burlington. Well I just finished reading a couple of disturbing articles on the drug industry in this country (ie The illegal portion!) (http://www.nytimes.com/2009/06/14/opinion/14kristof.html?scp=2&sq=Kristof%20marijuana&st=cse; http://www.nytimes.com/2009/06/12/us/12pot.html?scp=1&sq=marijuana%20prison&st=cse). It got me thinking about the age old question (at least here in Burlington and on Phish tour!!) about whether to legalize marijuana and I thought it would be good to do some quick back of the envelopes as to what else could be done with the money used to enforce the War on Marijuana! It turns out of the 2.31 million in prison here in the US – a number 4-6 times the world average depending on state – 485,306 are in for various drug related crimes. Of those approximately 47.4% (230,036) could be estimated as Marijuana related. Before I go further it is worth noting, according the National Council on Crime and Delinquency (NCCD) (2006nov_factsheet_incarceration), the “US has less than 5% of the world’s population but over 23% of the world’s incarcerated people.” Why is this notable? Well this 5:1 ratio is the same one attributed to our use of the world’s 83.4 million barrels of oil daily and it also happens to be our consumption:production of goods ratio. What is it with 5:1 and the US? According to the NCCD if the rest of the world followed our lead the global prison population would jump from 9.2 to 47.6 million people. According to Mauer (2003; inc_comparative_intl) the 3-fold increase in our prison population from 1980-1996 was largely (88%) a function of changes in sentencing policy , with changes in crime explaining on 12%. This is scary because like regressive taxation the minorities and women are paying a disproportionate toll. 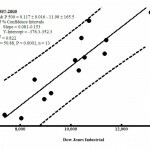 Blumstein and Beck (1999; http://www.jstor.org/pss/1147683) demonstrated that incarceration rose 364% for women between 1980 and 1996, 184 and 235 for African Americans and Hispanics, respectively, while male incarceration rose 195% and that of whites grew 164%. 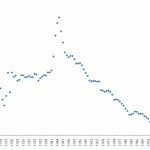 Overlay the increasing privatization of our prison system (http://www.nytimes.com/interactive/2008/12/26/us/1227_DETAIN.html) and all the negatives associated with that and you have a trend that needs immediate reversal. Otherwise we will have Wall Street’s “best and brightest” sticking their noses where they don’t belong, unless of course we were to prosecute them for the myriad offenses they have perpetrated in the past 20 years. Anyway getting back my point if we assume it costs about $23,876 per year to house these dangerous criminals than we are spending $5.49 trillion annually to keep these vermin locked up. Now what if instead of locking up petty marijuana users and distributors we put that money towards something worthwhile…something like Oh I don’t know healthcare? Well the Medical Industrial Complex (MIC) currently accounts for 15.2% of GDP or $2.10 trillion and is projected to rise to 20.9% by 2020 an astounding $3.35 trillion right? Well actually wrong if we used this “marijuana war” money we would still conservatively have a surplus of 3.39 currently or 2.14 in 2020 to do other stuff. Like what? Well this surplus as it were would pay for about 4% of all college student transportation or book and supply costs presumably lowering student loan amounts by a similar amount. Oh yeah or we could say sayonara to China and their $1.2 trillion in foreign exchange AND their 25% ownership of our national debt. Sounds like a plan to me. Okay so your not into protectionism, nationalism, recidivism, any other -ism, or education? That is totally cool. How about the electricity you use to turn on your lights, watch your flatscreen, or make a milkshake? Ah I see I got your attention now. Was it the flatscreen or the milkshake? Makes no difference if we take the surplus “marijuana war” cash and invest it in alternative energy, lets use for example wind as it is one of my favorites (I hear the cows love it as well!) we could buy outright or subsidize the purchase of 790,310 2 Mega Watt (MW) turbines, which translates to, now hold onto your hat……….. 1,580,621 MW! Alright so what does this mean in terms of capacity? Well the DOE estimates there are 330,000 MW along the Mid-Atlantic Bight, the region of coastline stretching from Massachusetts to North Carolina. Now if that doesn’t get your mouth watering more than the thought of that milkshake how bout the fact that the DOE estimates there are 900,000 MW of wind capacity nationwide, which roughly translates to $2.34 trillion in revenue annually. So, we would have about 680,621 MW worth of spare turbines to dump into the global market. Is that such a bad thing? I think not and it would all flow from the decriminalization of a weed that gives people the munchies and causes them to have a prediliction for really long songs! The Dow Jones Industrial Average (DJIA) a group of 30 companies that are supposedly an adequate proxy of Capitalism’s Temperature is under a great deal of flux. Recently we saw the removal of Citi and GM replaced by Travelers Corp. and Cisco Systems. GM had been on the Big Board for 83yrs, with only General Electric (November 1907) having a longer tenure. General Motors was one of “…the original 12-company Dow index created by Charles H. Dow in 1896. (GE has been in and out of the index three times. )” All the more reason to be disturbed given that Citi only joined the club in 1997 only to merge with Travelers, which was later spun off in 2002 (http://blogs.wsj.com/marketbeat/2009/06/08/gm-citi-officially-get-boot-from-dow-industrials-at-bell/). This comes on the heals of AIG’s removal from the DJIA in September (http://www.nytimes.com/2009/06/02/business/02dow.html?ref=business). Oh yeah and the other shoe has yet to drop given that Bank of America, which only joined the DJIA in February of 2008. 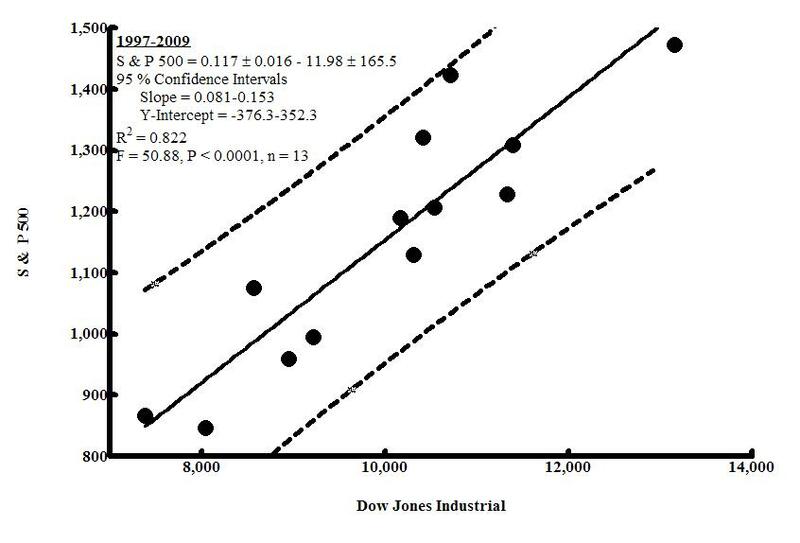 It used to be that the S & P 500 a more holistic index was well correlated with the DJIA and was approximately 12% of the DJIA. 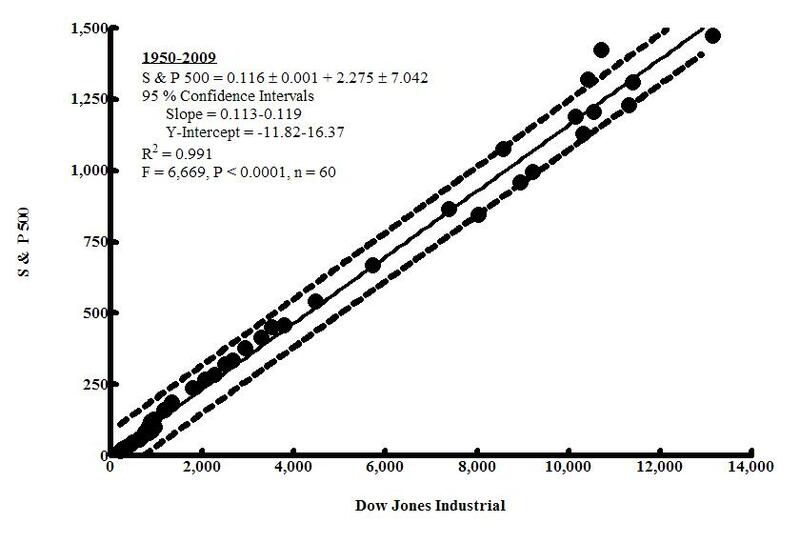 As both have expanded in volume we see the ability of the DJIA to account for the S & P’s variability remains at 99% when plotting the annual relationship from 1950 to 2009. However, if we hone in on 1997 to the present, the point at which futures – universally acknowledged as precursors to the toxic instruments we all now know and love (ie CDOs and CDSs) – began to be publicly traded (See “The day the signal died!”, May 18,2009) we see that while the S & P remains 12% of the DJIA the latter now only accounts for 82% of the former, which means the signal:noise ratio has essentially declined by 17% in 12 years. This roughly translates to an increase of 1.38% year over year. While on the surface this value appears trivial it gains import when compared to annual Global GDP in the last ten years, which has hovered around 3.04-3.97% per year or more locally here in the US 5.02% per year between 1999-2008. In other words US and Global macro- and micro-economic markets are embedded with variance factors equal to 27.5 and 39.3% of US and Global GDP, respectively. So, if the developed world continues to grow at a rate of 2.46% per year and the Dow Jones/S & P 500 decoupling continues to propagate we will see noise accounting for 52-56% of actual statistics, which even for the non-statistician has to be unsettling. What we are seeing is a decoupling of High & Low Finance, To Big To Fail & To Small To Matter, and a shift from an onus on Goods to Services here in America and the developed world. We are also seeing that once robust predictors of corporate growth are being usurped by associated noise. As we see goods being replaced with services and bank assets climbing as a % of GDP, which presumably will result in higher fractions of the DJIA being allocated to financial services, it can safely be assumed the days of a 99% DJIA Vs S & P relationship are safely in the rear view mirror. Consider for a minute the fact that US commerical bank assets stand at 70% of GDP a whopping $9.69 trillion, which doesn’t speak at all to the proliferation of hedge funds ($1.6 trillion, 12% of GDP), investment banks OR for that matter the graying of the line(s) between commerical and investment entities following Senator Phil Gramm (R-TX) and Representatives Jim Leach (R-IA) and Thomas J. Bliley’s (R-VA) gift to the folks on Wall Street in 1999 (http://www.nytimes.com/1999/11/05/business/congress-passes-wide-ranging-bill-easing-bank-laws.html?scp=4&sq=Gramm-Leach-Bliley%20Act%20November%201999&st=cse; http://topics.nytimes.com/top/news/business/series/the_reckoning/index.html). This basically means that in the past if investment banks sneezed commercial banks would be there with chicken soup and offer to drive them to the emergency room. Now however if those same investment bankers sneeze commercial banks (i.e. US) will most assuredly catch a cold. Not sure if 1500mg of Vitamin C will help though! Some might say we should look towards or European brothers and sisters. Well think again! Swiss bank assets equal 6.8 times GDP and the banks of the once robust Celtic Tiger were as of late 2008 approximately 9.5 times Ireland’s GDP (http://www.nytimes.com/2009/03/05/business/worldbusiness/05swiss.html?scp=1&sq=Ireland%20Switzerland%20GDP&st=cse). Scary thought I know and a long way out most certainly, but inconceivable I doubt it! Are there ways to reverse this inertia? Of course there are but it will require engineers of capitalism and society as a whole to embrace the “Scorched Earth” principal. We need look no further than the field of ecology for examples of how this principal has done wonders for certain ecosystems, most notably the native grasslands the US and Russia, the savannahs of South America and Africa, and the pinelands of the Southeastern US. It has been shown quite conclusively at this point that these systems require periodic fire and subsequently reset to a vigorous stages of early succession. However, fire can be grouped into 2 broad categories: i) infrequent, intense, and spatially expansive or ii) frequent, mild, and spatially discrete or patchy. The former tend to not only reset biological clocks but also hinder initial succession, while the latter simply tidy up the joint a little. The economic analog would the S & P requiring category 2 and the DJIA category 1. Many will be hurt under either scenario, but the long-term health of our economy and more importantly (to some!) capitalism hinges on successful implementation of a Scorched Earth paradigm along with political discipline in the face of irrational rhetoric reflecting the irrational exuberance we all languished in during the good times. It seems at least qualitatively that macro-economic forces de facto subject the S & P to mild and infrequent resets, however, it also seems these same forces are determined to protect those in the DJIA from a category 1 type of disturbance. The results will be a complete divergence of the two indices and the apparent creation of 2 sets of rules. This type of contrived and against-the-grain muscling will blow up in the faces of all it’s proponents, including the politicians that champion(ed) it. The globalisation of our economy is resulting in more nuanced and noisy data. Simply bailing out the To Big at the expense of the To Small will only exacerbate the problem. As it stands we are choosing cosmetic over structural/functional surgery. I for one would much rather look under the hood than take the word of the salesman wouldn’t you? How To Get Rush and Hannity To Shut Up for 5min! Very simply as it relates to mushroom clouds, ticking time bomb scenarios, the war on terror, what is and is not torture, the definition of the word implement (Seriously check this one out http://www.youtube.com/watch?v=O1GT-BZvhrw), semantics associated with legal definitions of cruel and unusual punishment (http://www.youtube.com/watch?v=4B5BNeWNShs), enhanced interrogation techniques, actionable information, blah blah blah blah we could shut up for at least 5minutes hopefully forever Fatso and Slickster very easily. We have reached a similar crossroads here in the US resulting from the irresponsible, cruel, and myopic Bush administration policies. Yet, they could not have accomplished what they did without the approval, tacit or otherwise, of the Democrats. We must reverse course immediately or we will be going at it alone on all fronts in the future. The only way to guarantee credibility and more importantly shut-up the neocons and idealogues on the way right is if we treat all that knew about the clandestine operations of the CIA, special ops, and to a lesser degree the FBI equally. I mean give me a break Ms. Pelosi sent a staff member to these meetings with the folks at the CIA? A STAFF MEMBER!? Seems like whether or not we are torturing captives is something she should want to hear with her own ears. Ms. Pelosi and Senator Graham were privy to the same information as Mr. Goss and Mr. Shelby. If it smelled, looked, and felt like torture it probably was torture. Yet, Ms. Pelosi and Mr. Graham fearing being portrayed as soft betrayed their senses and in my opinion, while not as guilty as Cheney et al, deserve to be reprimanded. This is not the common view of many in the MIC including almost everyone at MSNBC and The Times, but it is the only way an inquiry into torture will be seen as credible, both on the right and the left. No one is above reproach in the real world and no one should be above reproach in DC. That includes Ms. Pelosi and Mr. Graham. Their rhetoric carries no weight unless they acknowledge their own responsibility. Democrats try to come across as “Of The People By The People”, but a similar brush to that used for Republicans could be used to paint their portraits. There is a way to change that but it will involve a very harsh and large mirror! I was recently reading through some postings on Dr. Tiller’s assassination (How do you discern between assassination and murder?) and found the below diatribe from the mouth of George Carlin. As usual Mr. Carlin pretty much nailed it on all fronts. “Why, why, why, why is it that most of the people who are against abortion are people you wouldn’t want to fk in the first place, huh? Boy, these conservatives are really something, aren’t they? They’re all in favor of the unborn. They will do anything for the unborn. But once you’re born, you’re on your own. Say what you will about 3rd term abortions but the fact remains that there is a sector in this country that is very angry and getting angrier. The Tiller murder reminds me of when I started to see this whole thing begin to come to the surface nationally….It all started with John McCain’s pit bull Sarah Palin and her pandering to “real America”. I remember being very disturbed by her use of the 15minute platform handed her by the Arizona senator. I was even more disturbed that he did not condemn her comments. I contend now given Mr. Tiller’s untimely death, the mowing down of three police officers in Pittsburgh and related hate crimes blood is on the hands of of Ms. Palin and Mr. McCain, along with Rush Limbaugh and Sean Hannity. They knew the consequence(s) of their words, knew the vulnerability of their audience, and also knew that the latent sense of racism that pervaded their rallies and that such comments would only stoke the dark side of there constituents.This type of mentality doesn’t belong in politics but seems more suited to The Jerry Springer Show. These types of fissures are coin of the realm in right-wing thinktanks and what amazes me is how flippantly people like Mr. Limbaugh and Karl Rove throw around words like socialism and patriotism. We are still in W’s “with us or against us” mentality in this country and nuance seems to have been kicked to the curb oh so subtly. We need some north/south cross-pollination with dialogue centered on understanding the exact mechanisms used by the the Political (PIC) and Media Industrial Complex(MIC) on the right and left to divide and conquer us! They are using our own fears and more importantly our growing apathy and naivete against us. They are doing it quite well and even in this tough economic time President Obama and DC writ large are telling us to get out there and consume. Isn’t this a similar message to that forwarded by Bush immediately following 9/11? The answer is yes and the idea that our savings rate may creep over 6% is very scary to the PIC and MIC as they rely on our insatiable appetite for stuff to power our economy to the tune of 72% of GDP. As long as we remain divided we will remain perpetually subservient. This doesn’t mean we need to take up arms but rather we must pursue dialogue without ad hominem attacks understanding that religous, social, and economic diversity the engine that drives productivity doesn’t need to be scrapped but rather is in desperate need of refueling. Dairy farmers are in real trouble and it isn’t the kind associated with stepping in a present left by the resident ruminants. No they will be facing serious decisions in the coming months and years, with many here in Vermont (32 since December 1 2008) already having decided to abandon business they have invested decades in. I am specifically speaking of organic dairy producers who have seen demand for their product climb from approximately 75 million pds. in 2006 to a high of 150 during the later stages of 2008 followed by a precipitous drop this year to 125 million pds. 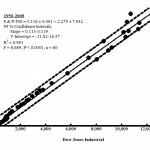 (http://www.nytimes.com/2009/05/29/us/29dairy.html?em) Sales growth has slowed from 20% last November to near zero presently, although projections range from 6 to 12.7%. Many organic farmers owe upwards of half a million dollars from conversion to organic. Yet, the pain is not exclusive to organic farmers what with the extremely volatile (And getting more so! (http://www.nytimes.com/2009/01/02/business/02dairy.html?sq=dairy%20california&st=cse&scp=10&pagewanted=all)) price of milk declining from a high historical high of $19.13 per cwt in 2007 to $12.06 (-36%) presently. 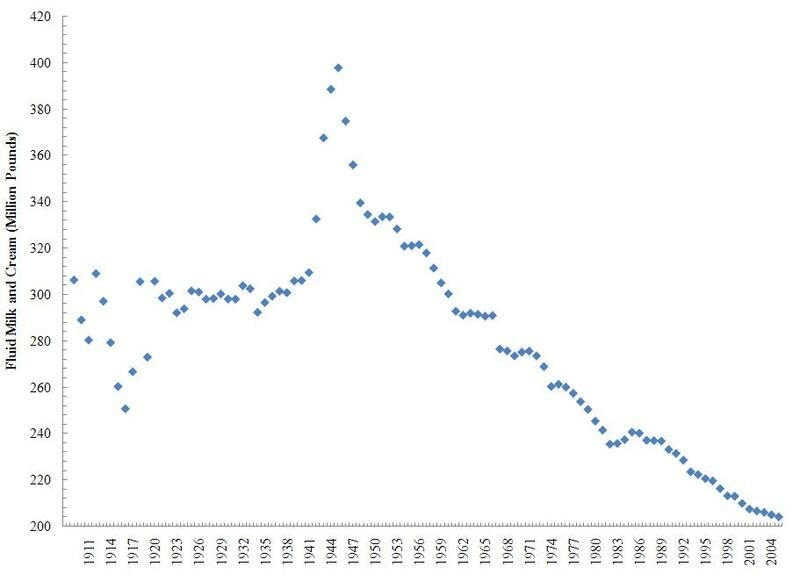 Couple this with a steady (1952-2004) and at times marked (1945-1950) aggregate inclination to move away from milk consumption here in the US. While it is true that some of this market decline has been nullified by the doubling of dairy consumption in developing countries and China from 33 in 2002 to 63 pds per year in 2007. Although as with CO2 they pale in comparison to our 580 pound annual habit. Yet, I would ask the Chinese already own a large portion of our debt do we really want them to control our farmers as well? SO, is it all doom and gloom you may ask? Well the answer in my humble opinion is not so fast my friend! We have only to look inward at Green Mountain Dairy Farm in Sheldon, VT. where the Rowell brothers are getting the most out of their beloved bovines (http://www.nytimes.com/2008/09/24/business/businessspecial2/24farmers.html?scp=1&sq=methane%20vermont%20cow%20farm&st=cse). If we use their calculations and assume that 0.25 Kilowatt Hour (kWh) can be generated per dairy cow and we assume there are approximately 141,000 head in Vermont (1,498,100 in th Northeast) we would could potentially generate 35,250 kWh per day (374,525 in the Northeast) of electricty from our friendly ruminates here in Vermont. This translates to about 1,286.7 MW annually, which would provide electricity to 10% of Vermont housing units (311,434) or 12% of all households (240,634) (http://quickfacts.census.gov/qfd/states/50000.html; vermont-area-sheet-us-census-2005), which no matter how you slice it is not a trivial piece of the pie (Pardon the pun!). Assuming the average price of a kWh in VT is 12.5 cents (12.1 cents in NE (http://www.eia.doe.gov/neic/brochure/electricity/electricity.html)) and a 5-6 cent premium (ie 17.5-18.5 cents) we are talking about a net income of about $2,187,263, however, if scaling up of this type of effort increases efficiency by lets say 0.15 kWh revenue increases to $3,499,620. Better yet if we use this process as a Heat Generating mechanism, which has been proven markedly more efficient for biomass relative to fuel or electricity the numbers inflate substantially with 27-35% of homes heated, 3,602.5 MW annually and $6,124,335 in revenue. However, unlike traditional Wall Street related investments the folks in France are finding volatility indices are far lower for cows relative to the latter’s “Masters of the Universe”. The data out of France suggests that such relationships free upwards of 17% of capital for investments and improvement, which in many instances were relegated to the back burner in perpetude. The fact is that our friends and neighbors in the dairy industry here in Vermont and throughout the country need our help now and I don’t believe they have ever attempted the types of legerdemain the suits in NY, London, and Hong Kong conjured up. They deserve our respect and support during these tough times, because unlike the auto industry they can’t stop feeding and milking their cows. There is huge potential in them there cow patties and it is time to harvest it. Lets show the country and the world the softer side of capitalism!